Dawn's color combos are awesome...and so are your cards! You always make them work so well. Just gorgeous, Kelly! Beautiful, bling-ified flourish - just gorgeous. Great use of the challenge colors :) Great job. Thanks for sharing! congrats on your first post, kelly!!! adding u to my linkie links!! simple yet stunning!! I love that flourish from PTI (one of my faves)! Lovely card, never thought of using the flourish as a sort of vine, thanks for the inspiration! How DARLING!! I love how you used only a touch of "new leaf", that blends perfectly with the rest of the colors! Very nice, love the flourish. Love the simplicity of this card. So elegant! So glad you now have a blog. 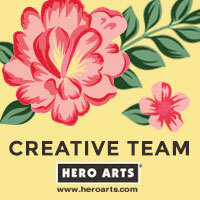 I have followed your beautiful creations on the Hero blog and flickr group. Very pretty card. I missed seeing your cards for the raspberry challenges!! They are always so creative and perfect!!! So excited that you have a blog, I love your stuff!!!! OMG, Kelly! I didn't know you have a blog, I'm so happy I found you! Love your blog and your gorgeous card, I'm a big fan of yours! Love this card! I am happy you have a blog now, your work is awesome! And this card is GORGEOUS. this is so beautiful! gorgeous design! Gorgeous card Kelly! Very clean and elegant!